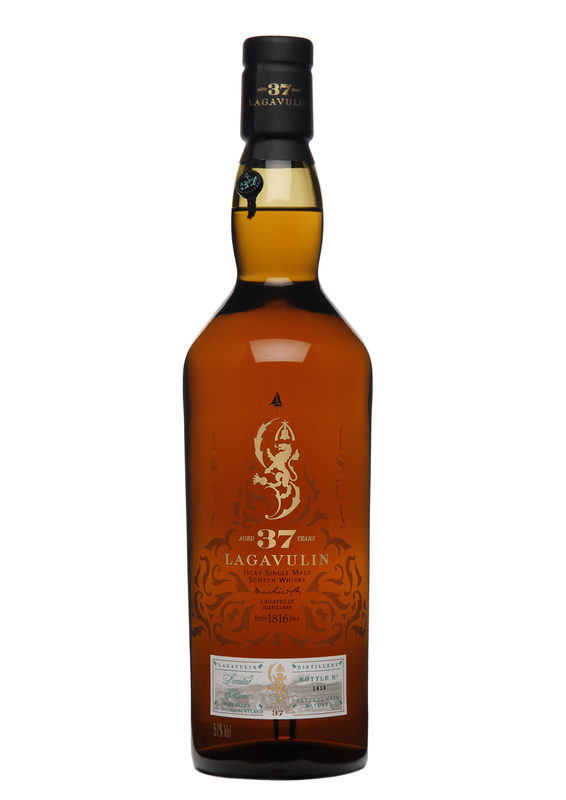 The priciest special release by Diageo for 2013 is the Lagavulin 37 year old. Currently, the oldest bottle from the warehouse, this whisky is matured in a mixture of both American and European Oak. The underlay aroma reveals a grounded earthy spirit, with moss, fungus and mushroom. On the top is rich honey, caramel, mango and toffee. The palate is meaty, heavy with honey and ginger, wrapped in a creamy and light spicy tone. The finish is gentle but long, with a wisp of smokiness. The Lagavulin 37 year old is bottled with an ABV of 51% and priced at £1950. @whiskytale: Parents are our life pillars providing us with the best from both worlds. But we do occasionally look up to that one other person that give us equal measures and more. This person has a characteristic stature of strength, wisdom and authority like a father-figure and the Lagavulin 37 year old emulates that role. Lagavulin is renowned for its dirty and industrial like smokiness, but none so apparent here and yet it still remains true to itself. And you expect nothing less, if placed on a pedestal with its siblings; you can tell it has captured only the best experiences and stories to tell. You would share this bottle with only the most judicious of people, the ones that are at a journey’s end looking for insight beyond what they have already accumulated in a lifetime.